A 12-volt DC system powers the RV refrigerator to keep food cold while the RV or camper trailer is moving from place to place. The same goes for the lights and fans. It also keeps the on-board batteries fully charged. This system relies on the 110-volt AC electrical power supply for amperage. It is possible to pull a 12-volt power supply from the RV or camper trailer's electrical system or 110-volt campsite power supply. Then the 110-volt supply can be stepped down to 12 volts after it is run through a power converter and to a particular appliance. As in a home, the 12-volt system has its own set of breakers to control each circuit. The lights, fans, or refrigerator may each be on their own circuits, depending on the amperage required. If the converter is supplying 12 volts to the breaker panel and the breakers test positive for voltage, this leaves the wiring or the particular appliance at fault. If you are not familiar with electrical wiring or troubleshooting electrical systems there are some very good books available to help you understand and repair common RV electrical problems. I would recommend RV Electrical Systems: A Basic Guide to Troubleshooting, Repairing and Improvement to any novice and experienced electrician alike. It will be an enormous aid to understanding RV electrical systems. Another must for tracing down electrical problems is a voltage meter. This handy tool will allow you to check the circuits for continuity and for the correct voltage required for each breaker. A simple test light can be used but will not test for broken circuits caused by bad wiring or other electrical problems. Both of these tools are inexpensive to own and will more than pay for themselves over time. The voltage meter can be used for home electrical problems as well as any other electrical related problem. Both are offered on this page for a reasonable price. The 110 volt outlets used in some RVs and camper trailers are prone to shorts because of the way they are installed. Some are merely clipped onto the wiring by cutting into the wires. These types are notorious for not working correctly. Replace these types of outlets with standard house types to put and end to loose connections. Since some of the walls are so thin, a smaller receptacle box may be required for the outlet to fit flush in the walls. In older RVs and camper trailers you may still find fuses instead of circuit breakers. Since the advent of many new electrical devices, these older fuse systems may not provide enough amperage to handle a microwave or other high amp appliance without blowing a fuse or kicking a breaker. Simply replacing the fuse or breaker with a higher amp substitute may be all that’s required. Replacement of the entire breaker box may be the only option remaining if this doesn’t solve the problem. The newer RVs and camper trailers may have two RV A/C rooftop units which require more amperage than the older models to operate without kicking the standard 30-amp power supply used by many campgrounds. Fortunately, many campgrounds and RV parks now provide 50-amp service for these types of units. When making reservations or checking in, be sure to ask about the availability of a 50-amp hook-up if you own a unit with multiple A/C units. Keeping your electrical systems in good and safe working order insures a trouble free camping trip with no sudden power outages to ruin the trip. Most problems can be repaired easily if you understand how the system works. RV electrical manuals along with a few inexpensive tools are well worth the cost of their purchase. If you are completely confused by electrical wiring there are also some very good basic books to start you off. It isn’t very hard at all to check electrical circuits, switches or outlets with an inexpensive voltmeter. Just remember, when touching any wires be sure the power to that particular circuit is off. If in doubt, turn off the main breaker or unplug the RV or camper trailer from the power supply. Happy camping! Power converters for all makes and models of motorhomes and camper trailers available. Pete, I wouldn't think the 12 volt system would affect the 120 volt side, But I've witnessed stranger things. Check the positive battery cable where it attaches to the steel frame of the camper for corrosion and looseness as this is the main ground for the 12 volt system. Let me kow if this doesn't solve the issue. I have a 2006 T@b with intermittent issues on both AC and DC. I have checked the power supply on the 110 side and it carries through all the way to the converter. The DC system has not been plugged-in for weeks, and the battery may be bad, but even when connected for hours to the vehicle, I can't get either AC or DC functionality. Could the old battery be impeding the whole system? Do I need to evaluate the converter? Buster, this is an enigma. I'd like to be able to test the furnace for myself, but this isn't possible. Can you tell me more about the problem? Jim, first check the negative battery cable where it attaches to the steel frame of the camper. This connection needs to be clean and tight, otherwise you'll experience all sorts of strange electrical problems. If this doesn't solve the problem, then connect a good battery charger to the battery(s). If everything works normally, then a new power converter may be in your near future. I have a 2001 Coleman popup camper, Mesa model. While hunting this fall and doing the dishes, the 12 volt power totally shut down. I was able to use back up generator power but could never get the 12 volt to work again. Battery was good, fuses on converter were good, no loose wires noted. I did replace the circuit breaker in the wiring harness coming from the battery but that did not fix the problem. Still have 110 volt power, no problem. At a lose as to what to do next? Carmen, you can still attach a charger to the battery cables as long as you make sure their not touching any metal connected to the camper. Randy,I do not have an batteries connected at all.When purchased the camper there wasn't any batteries,do see were they go and post for them on the tung of the trailer. Carmen, first check the main ground for the 12 volt system. this is normally the ground cable on the battery which connects to the steel frame of the camper. This connection needs to be clean and tight, otherwise you'll get all sorts of strange electrical problems. If this doesn't help, then connect a good battery charger up--not a trickle type--to the batteries to see if the power converter is working or not. I have 2006 gulf stream coach.im having problems with a breaker throwing.That breaker worked the AC,hot water heater and all inside light.I have replaced the breaker,the lights flickered a couple times,I reset the breaker,now nothing is working except the plug n outlets. David, if you have any GFIC outlets they are prone to going bad and affecting the others connected to it. Bobby, do you have a power converter and battery aboard? I have a older travel trailer. It has fuse panels in it. I cannot find where the power comes into it. Any ideas? Jim, the waterline you mentioned under the shower may be fro draining the water lined during the winter. Most campers have drains for both hot and cold water lines. Check for such a valve as it may've been left open by the last owner. As for the electrical question, I hesitate to give you advice about your particular electrical set up as I'm not familiar as to why there should be 3 different inputs. 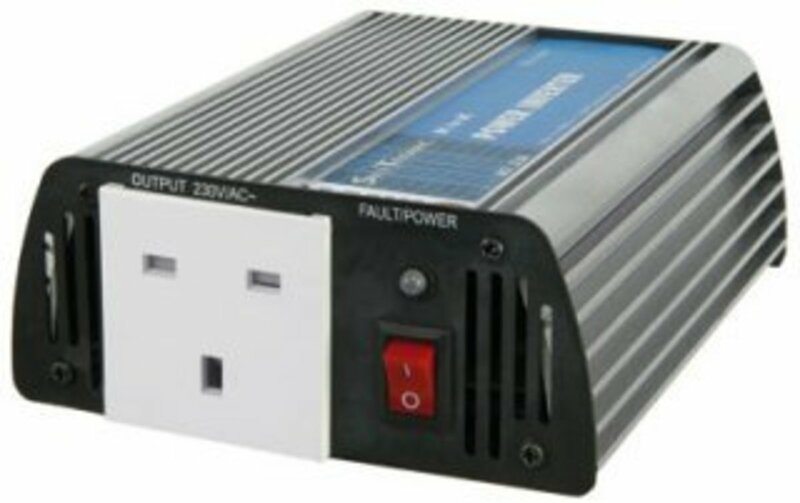 One 30 amp power supply should power everything if you only have one AC unless the other plug provides power to the 2nd AC. If you have an onboard generator, this could account for the other 30 amp input, but this is simply a guess on my part. Have a used Teton Homes Grand 5th wheel that I'm trying to figure out a couple of issues with. 1st, when I hook up the water to the "city water", the water flows directly out of a clear PEX pipe right under the indoor shower. I'm thinking when it was winterized, the valve was left open. I can look into this if that is the problem. 2nd, I'm trying to hook into shore power for electricity. I have a single 30 amp receptacle for the power to plug into (the trailer has 30 amp plugs), but there are 3 different 30 amp plugs, so obviously can't plug all 3 into a single outlet. Right beside the 3 wires, there are 3 empty female 30 amp plugs that seem to be tied together. Should I run one plug to the receptacle for shore power and plug the other 2 into the empty receptacles in the trailer to provide power to all 3? Obviously will not be able to run a lot at one time being only 30 amp, but does my solution sound OK? Sam, you're right. Normally the red and black are positive with the white being the ground. Do you get a reading from the wires with the battery disconnected? Were the 12 volt items all working before? I purchased a used 1984 Terry Taurus 28’ tow behind. It came without a battery. Plugged into 110 volt everything works as it should. I attempted to hook up a 12 volt battery,but I do not get any power from it. I’m not totally sure I have the wires correct. I have three wires. Black white and red. I know the white is ground. The red and black are where my problem is. With both hooked up I should have power in the camper. I don’t. Do you have any idea what I’m missing or what’s wrong? I checked all fuses and they are all fine. Like I said everything works fine plugged in. Thank you. Kchristiana, Over time a breaker can become weak after being tripped many times. Try replacing the breaker before doing anything else. Sam, try cleaning the negative battery cable where it attaches to the steel frame of the camper. If this connection isn't clean, it will prevent any 12 volt appliance or circuit from working properly as this is the main ground for the 12 volt system. light fixture removed from ceiling and wires left dangling. hooked up battery in front to charger to attempt to move slide outs, no go.no lights nothing . no power to outlets, no lights, no moving slide outs ? Thank you, I will check the Ground. Merry Christmas! Angel, one of the lights in the circuit should be grounded to a metal part of the camper or to a ground wire. If none of the other lights are working, then check the first light for a ground wire, a white wire is normally the ground wire. Brandon, have you checked the 110 volt power panel(breaker box) to see if power is getting to the main breaker? I recently received a 1998 Skyline Layton 3090 travel trailer. It is a standard 30 amp circuit. I replaced the plug for a newer one. This is then plugged into a 30 amp outlet. I have checked the wire ends to make sure they are clean. I have yet to determine why I can't get power to the trailer. I'm leaning towards bad breakers, or faulty power center. Any ideas? mudbug, you may have toasted the converter unless it has a fuse or reset button. Try connecting a good battery charger up and if everything works normally, then a new converter may be in your future. Thanks Randy. Looks like it was a bad ground. All is well now. 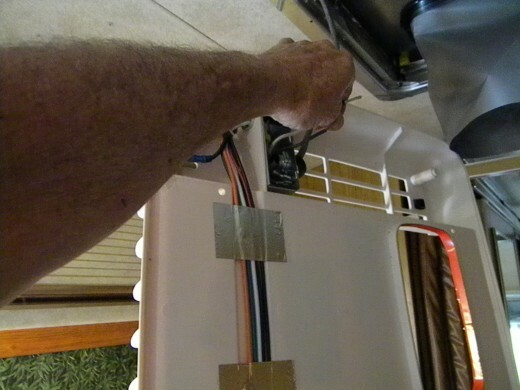 JustPat, make sure the negative battery cable is clean and tight where it attaches to the steel frame of the camper. A bad ground at this point will cause all sorts of problems with the 12 volt system. You should get at least 13 volts at the batteries if the converter is working properly. Hote this helps. Hi Randy. I have 2x6V batteries in series. Jayco trailer works on 120v, but not off the batteries. They are new batteries fully charged. Checked the fuses & breaker. I am getting 12V from the trailer when connected to 120V. And I see 12V from the batteries w/o 120V. Michelle, can you give me a bit more info on the problem? I have a 92 Doge Ram by winnabago. My electrical system does not work. ? I want to turn it into a tiny home. No one can figure out what's up? Any suggestions on what to do? Gratitude my friend. Jeff, look into the 110 volt power panel to determine what color wires are connected to the two grounds in the box if you have a 30 amp hookup. 2004 dutchmen 5th wheel trailer plug was ripped off. Whats the easiest way to identify the wires? The ones coming from the trailer arent the same color as to what goes to the 7 way plug. Christina, check the wiring connections in the access panel near the slide-out. I have a 2006 explorer frontier, one side of the slide out is not working when trying to move it back in. It went out fine but will not come back in now. Zachary, check the power in the 110 volt power panel in the camper. It's not uncommon for the main breaker, or one of the others, to go bad. Running on a small extension cord is never a good idea even though the voltage you may be using is minor. I have a 1985 wilderness by fleetwood, plugged into house with a extenion cord to connect house power to the cord from the outside of the camper. I only run a eletric fan that consumes up to 120 volts. Sunday night the whole camper lost power in ever outlet. I flipped all the breakers inside the house thinking maybe that was it, that did not work, checked the extenion cord that I used from the house and that was providing power. I am not sure what to try next. Jack, this sounds like a bad ground in one of the fixtures which affects the others in the circuit. Check the connections of the lights and make sure they're properly grounded. Good luck! i have a 2005 jayco jayflight.the two rear ceiling lights by the back bunks and one wall light near the kitchen table dont work.everything else is fine.i checked the fuses of course.any hints how to fix this? Arron, did you change the GFIC outlet? Mike, is there a separate thermostat for the furnace? If so, there should be a fuse or breaker in the 12 volt power panel which controls the furnace thermostat. Madbull, if everything works with the battery charger connected, then yes, a new converter may be in your future. Thanks for reporting back in with your solutions for the breaker problems. Follow up to 2004 Dutchmen Aero. Took you advice to check ground....it seemed to be ok. (Is there a way to post pics...to be sure I'm checking proper wire). I did remove and clean. After doing this, I checked the black wire leaving the battery. It was connected to two breakers before going to electrical box under trailer. The breakers were quite rusty and multimeter showed one didnt have power. So replaced with new breaker and the12 volt lights worked. At this time the battery had a charge. Was going to replace second breaker even though it seemed to be working, but was having trouble due to rust. A guy said since Im not planning on towing the trailer, to alter a black wire on breaker. Which I did and system seemed to be fine. A week or so later the 12 volts were dimmed, then day later 12 volt not working. Checked the battery and no charge. Charged battery overnight and everything works. Seems when plugged into power the battery is not being charged. Would this be the converter or could it be the altering of black wire between breakers? Louise, which fan are you referring to? Is it an overhead vent fan? 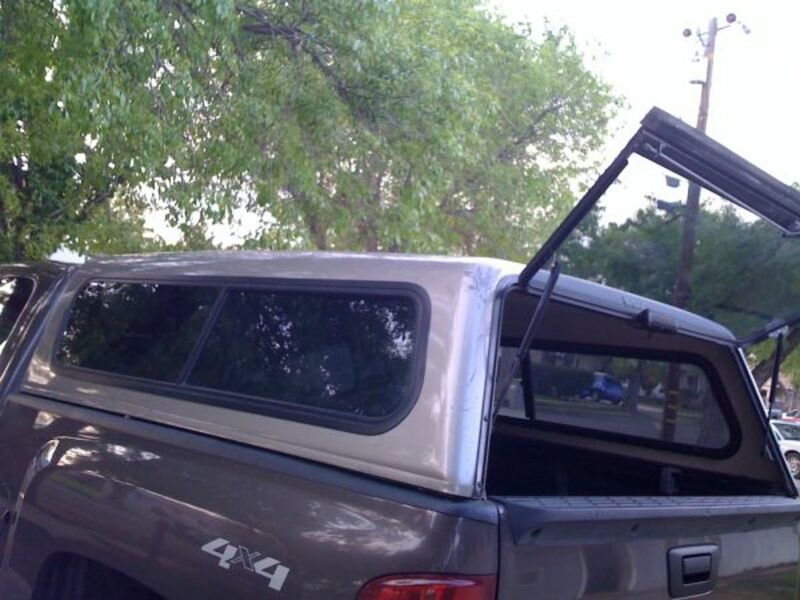 The Kodiak trailer is a 2011. I unhooked batteries but the fan does shut down. Kodiak 20 ft. by Dutchman. Is there a battery disconnect swith? & why wont the fan shut off? David, it should be near the pigtail end of the electrical connection. You should have an access panel somewhere near here. Vicki, check the voltage in the 110 volt power panel to see if there's a bad breaker or short in one of the breakers. Patrick, I'm planning an article just for that in the near future. Madbull, this sounds like a bad ground. Check and clean the negative battery cable where it attaches to the steel frame of the camper. This is the main ground for the 12 volt system. Let me know if this doesn't fix the issue. Have a 2004 Dutchmen Aero Star. Plugged into 30 amp service. Have to be careful what electronics are in use. Every now and then the overhead 12 volt lights flicker/dim and at times go out. Outlets still work. Times when the lights go out, they come back on by themselves after a few minutes or couple of hours. This past weekend,when they went out, they did not come back on. Fridge was also affected and had to be switched to propane. Converter fan is always running and has green light on. 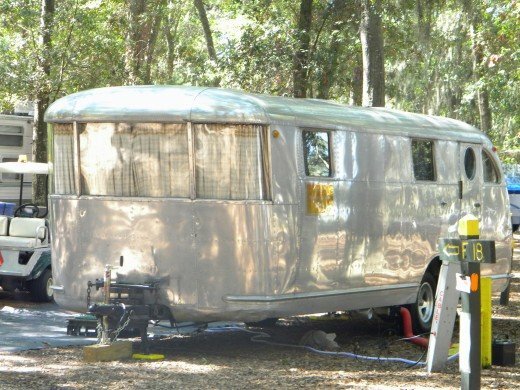 We are new to owninng a travel trailer and would very much appreciate some guidance as to how to go about fixing. Brickz, there should be no problem with running only one wire if the LEDs are grounded to the metal part of the camper. 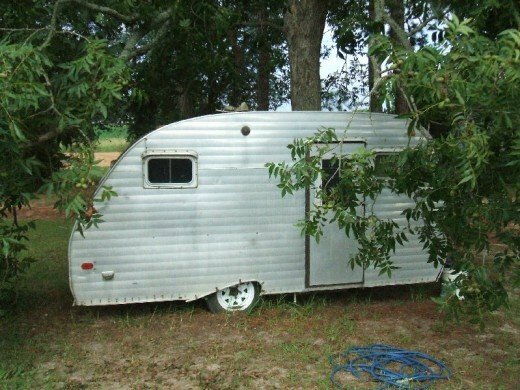 Restoring a vintage camper and adding 12 volt wiring for interior LED lights. can I use chassis for ground and run only a single wire with +12 V to fixtures or should I run second ground wire to all fixtures. Trailer lights are all grounded to chassis. Any issue with doing same for separate 12V system? Mary, you don't need a battery for your receptacles to work. Unless you have at least a 30 amp breaker you cannot run everything and the AC at the same time. Your lights and recepts should work on a 15 or 20 amp breaker though. Mary, you need to get the man back who did the wiring. I can't tell you without looking at the wiring what is wrong. Sandy, if you have any GFI outlets with a reset button them, try changing them out as they are notorious for going bad after a few years. Hi Randy, I am trying to find the wiring Diagram for a Fleetwood wildnerness park model 2001 39 foot. We are having a electrical issue on a few outlets, in the Kitchen area, we have no power coming to them, we replaced the breakers, and the outlets to reg outlets, Ty for any help. Ethan, check the negative battery cable ground where it attaches to the steel frame of the camper. It may be loose or corroded even though it doesn't appear to be. I have a 2003 rockwood and when we hooked it up to the 110 plug the lights flash inside and something beeps but will still pull the slid in what could this be? Glad you found the problem, Daniel! Update: I think the ground was the problem. I re wrapped the wire nut in the junction box and now have power. It must have disconnected during previous trouble shooting a couple days ago. I have power to everything when plugged in. However, unplugged, there is no power. I put a new battery in...no power. 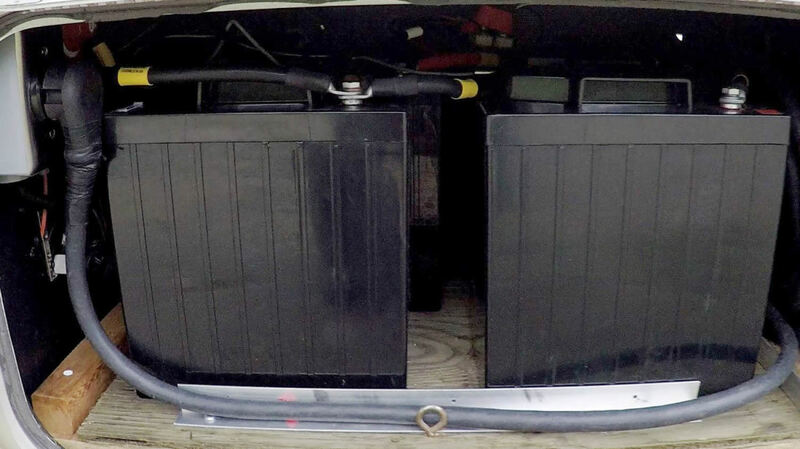 I changed the in-line fuses (from battery to camper)…. no power. I re-ground the battery to camper frame...no power. I plugged the camper in and disconnected the battery....Power to everything. Every time I turned another light on, I could hear the cooling fan turn faster. All fuses and 120v breakers are normal and all wires seem fine. What can be the problem? Thanks in advance! Enos, this is beyond my knowledge. Sorry! Nevada, it's possible but unlikely. if the ac power supply has a bad ground would that trigger the running lights when plugged in? Nev, check the battery ground for corrosion or being loose. we have a 2007 nomad lite ,we plugged it in to the house on a cord and adapter and now the running lights are on? Tom. apparently you have a short somewhere in the 110 volt system. Check the main ground in the power panel to be sure it hasn't vibrated loose during transit. You might also turn the breakers off one at a time to see if one of the other circuits is causing the problem. 2005 palimino rv 5th wheel....lights lightly flicker on 110 volts, has also trippedthe breaker, mostly on supplied camp power box....lights running steady off the battery which shows 11.67 volts...pulled all camper breakers and checked all connections for tightness...any suggestions? John, have you checked the main battery ground cable yet? This cable connects to the steel frame of the camper and is often the culprit in the 12 volt DC system. This connection should be cleaned often even if it doesn't appear to be loose or corroded. If this doesn't solve the problem,then connect a good battery charger up and if everything works as it normally does, then yes, your coverter may need replacing. With 120 ac hooked up and main breaker ON I get 5.51v DC at the output blue & white wires, & about 7v DC at the 30 amp fuse slots. Turn the breaker off, removing AC power, and the DC voltage at the 30 amp fuse goes to battery voltage (12.7). Battery is not being charged and when Battery is disconnected with AC hooked up, none of the DC powered equipment (lights, pump, slide, etc) will work. Would just like to confirm that the Converter is in fact bad before shelling out $170. Martin, have you burned out your converter? Joe, start by checking the 110 volt power panel for breakers possibly ruined by the mistake. When you get power to the main you can check the other breakers and appliances for damage. If you need more help please ask. Our new (to us, 2003) trailer 30 amp, had 220 hooked to it by mistake. What is the best plan to check and correct this? Did see this question asked, but do not know how to see your response. Denver, believe it or not I get this problem often. You'll need to start at the power panel and check all the breakers, especially the main. You may get lucky and not have to replace the control boards on the AC and H/W heater. The converter may be okay, but you can tell when you get power to the 110 volt panel again. Let me know if you need more info. I just bought a 2001 sandpiper 5th wheel trailer. The guy I bought it from told me to use 220 volt even tho the trailer says 110. I used 220 and have fried the wiring and now nothing works. How do I go about fixing this? I assume i need to replace the converter? David, this sounds like a power converter problem or a battery issue. Check the negative battery ground where it attaches to the steel frame of the camper. This connection often is the problem. If this doesn't help then the converter may be the problem. we have a mallard bumper camper. it has a 110/12 volt system last night in a rain storm the lights went dim and then came back on bright like they should. now in the power box you can hear a click in it the lights will dim and the t.v. will dim then you can hear another click and every thing will go back normal. it keeps repeating this. what could be wrong with this. please advise. thanks. Josh, do the GFIC's work properly?